I understand why Ford Motor Company (NYSE:F) stock is struggling at the moment. The Ford stock price sits narrowly above its lowest point in almost six years. F stock has lost nearly a quarter of its value this year alone. There is a bear case for F stock — and I’ve made that case. As I argued last year, the biggest concern is that Ford has hit “peak auto“. Even with the balance sheet cleaned up, a business whose volumes have peaked is going to have a difficult, if not impossible, path to growth. Add to that cyclical concerns and the fact that the Ford stock price is less than 7 times forward earnings and the bear case isn’t that unreasonable — or surprising. But, for much of this year, I’ve argued that even in that scenario, F stock is just too cheap. Even as the stock continues to fall, I still think that’s the case. The pivot away from cars no doubt adds risk. But it also refocuses the company on its strengths, while saving billions of dollars in capital expenditures and operating expenses. A disappointing September sales report [pdf] — unit sales dropped 11.2% year over year — would seem to undercut the bull case here. But looking more closely, there is evidence to support the new strategy at Ford. From a headline standpoint, Ford’s September numbers look pretty weak. Total unit sales fell 11.2% year over year, modestly worse than consensus estimates of a -10% decline. Retail vehicles sold dropped 12.6%. That performance was about in line with that of General Motors (NYSE:GM), who now reports quarterly and posted an 11% drop in its Q3. But it’s a noted disappointment relative to Fiat Chrysler (NYSE:FCAU), whose unit sales rose 15%, backed by strength in the Jeep brand. But if an investor looks closely at the numbers, the performance actually shows some potential. Year-over-year comparisons were impacted by higher sales last year due to hurricanes in Texas. Pricing rose strongly — roughly $1,500 per transaction. And in the categories that Ford is focusing on going forward, the numbers look pretty good. F-150 sales were down 9% — but still are up more than 3% so far this year. Unit SUV sales were down 2.5% for the Ford brand, but for the Expedition sales rose 27%, meaning dollar revenues likely rose YOY. Mustang sales remain stable (-1.3% for the month, -0.9% for the quarter). On the Lincoln side, the Navigator remains “white hot”, as the sales release put it. Transaction prices rose nearly $30,000 YOY. Unit sales were up 77% and have climbed 82% so far this year. An 11% sales decline might sound bad, but most of it is coming from Ford cars (-26.5% in the month, down 16% year to date). The SUV, truck, and Mustang lines are actually up YOY. And those are the categories that matter going forward. So, even in what looks like an ugly quarter, the bull case here seems to get some support. U.S. car sales may have peaked — but Ford’s go-forward products haven’t yet. Pricing is rising, which should help margins. And cutting out many of the car models unlocks significant savings: some $25 billion over five years, per a recent presentation. After-tax, that’s almost $1 per Ford share in incremental EPS. Hold demand steady for trucks, SUV’s and Mustangs, and Ford’s EPS could threaten $2 at some point during this period. And it’s difficult to imagine F stock still trading in the single digits at that point. Right now, that demand is steady and, if it holds, and Ford can create those supply chain and R&D savings, earnings should rise — and so should Ford stock. The big risk to F is that “if demand holds” is a pretty big “if”. Ford’s numbers do reflect a shift among US consumers toward SUVs and trucks and away from smaller cars. In a strong economy with gas prices below prior-decade peaks, that shift isn’t surprising. And the biggest risk to Ford stock is that the shift will reverse — whether due to higher gas prices or a weaker economy. Pivoting into that shift could lead Ford out in the cold: it’s now much more reliant on SUV and truck demand. 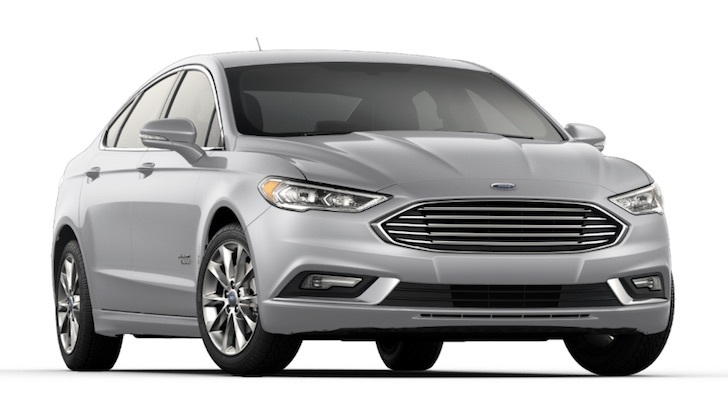 Electric vehicle growth also could hit demand: Ford is trying to catch up on that front, but, at the moment, it clearly appears to be behind Tesla (NASDAQ:TSLA) and Toyota (NYSE:TM), and potentially European manufacturers as well. So, this isn’t a riskless trade. But the case for Ford, and for F stock, is that a smaller company can find a more profitable niche — and sales numbers this year seem to support the case. Circumstances may change and investors need to be nimble. (They also need to not just buy F stock for its nearly 6% dividend; buying a stock just for its dividend is a good way to get into trouble.) Right now, though, the strategy looks on track — even if the numbers don’t seem to show it. Article printed from InvestorPlace Media, https://investorplace.com/2018/10/monthly-sales-show-ford-stock-price-double-digits/.